We’ve got The Allergies – and we’re really happy about it! 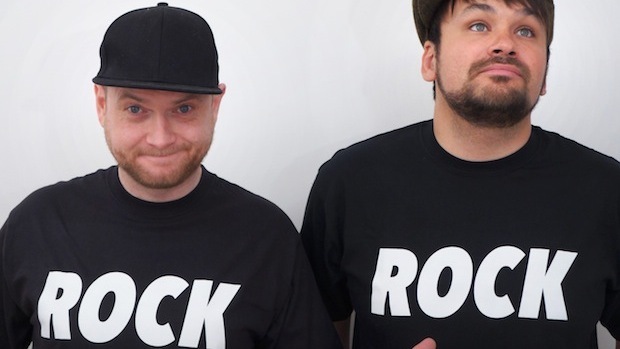 The Allergies is made up of Bristol-based scratch DJs, Moneyshot & Rackabeat. They made it their mission to reshape funky vintage sounds for the modern dancefloor: funk, soul, disco, hip-hop and breakbeat influences mix into a seriously cool stew. Their 2016 debut album As We Do Our Thing on Jalapeno Records takes in this sound, and features guest vocals from HypeMan Sage, BluRum13 and Ugly Duckling’s Andy Cooper. They’re available for bookings throughout Europe, please contact frank@bureau45.com for more information and conditions!